Nj� Bib�l e vacant� p�r parashkollore. Nd�rton nj� d�shir� dhe k�naq�si p�r m�simin e Bibl�s n� moshat 3-5 vjec. T� gjitha vlerat m� t� r�nd�sishme do t� dalin n� pah n� k�t� Bib�l t� thjesht�. Nd�rton jet�n dhe karaterin e f�mij�s suaj n�p�rmjet t� v�rtet�s s� Bibl�s. Nga , 212 faqe, botuar ne shqip nga Operation Mobilization (Operacioni Mobilizues) ? 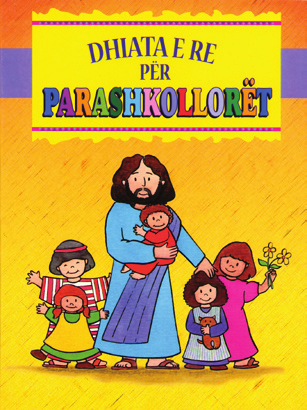 A special Bible for preschoolers. It builds a desire and satisfaction for Bible lessons for ages 3-5 years. All the most important life values will be seen in this simple Bible. It builds the life and character of the child through Biblical truths.